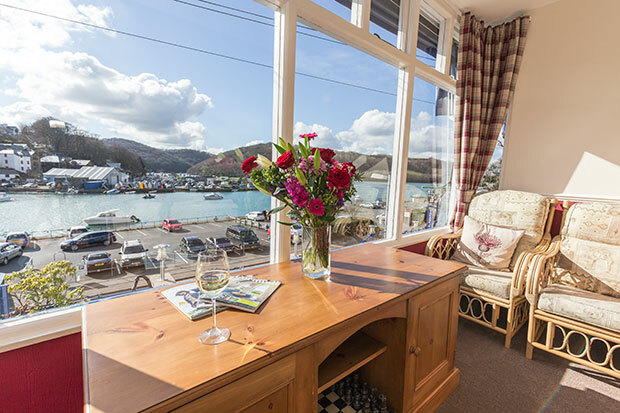 A warm welcome awaits you from David & Donna at the recently refurbished Deganwy Guest House which has spectacular views over the harbour, the river Looe and its beautiful wooded valley. 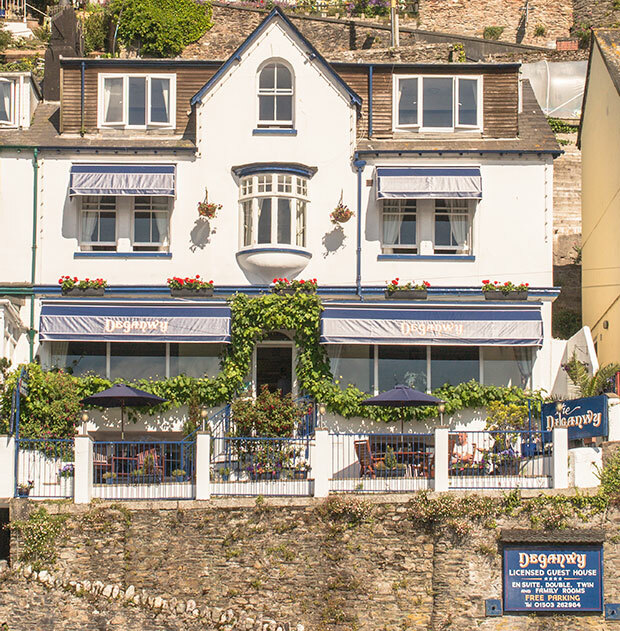 Situated in a prime position, in the bustling Cornish town of Looe, with its narrow streets housing many shops, hostelries and restaurants to explore, whether its fish and chips or fine dining you are sure to find something to suit every palette. The working fish quay and main Looe beach are all within a few minutes easy walk and The Southwest Coast Path crosses the famous Looe bridge which is approximately 100 meters from the door. 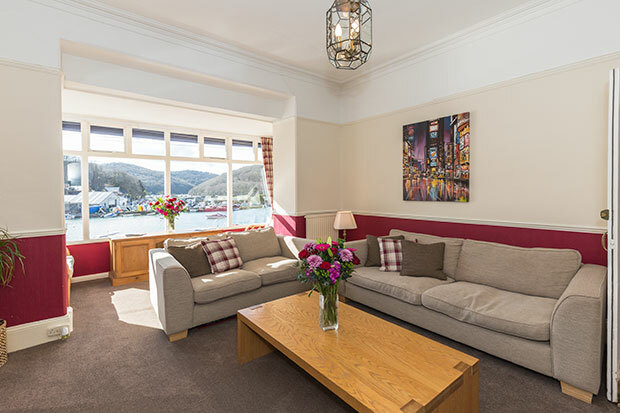 When you stay at the Deganwy Guest House all guests are allocated a free reserved off-street car parking space for the duration of their stay. Not bringing your car? Then its just 200 meters level walk from the train station and you are here. The Deganwy has a variety of rooms, most with superb estuary views available ranging from single, double and family rooms, all recently refurbished with high quality furnishings and linens, six of which are en-suite and two with individual private shower rooms. 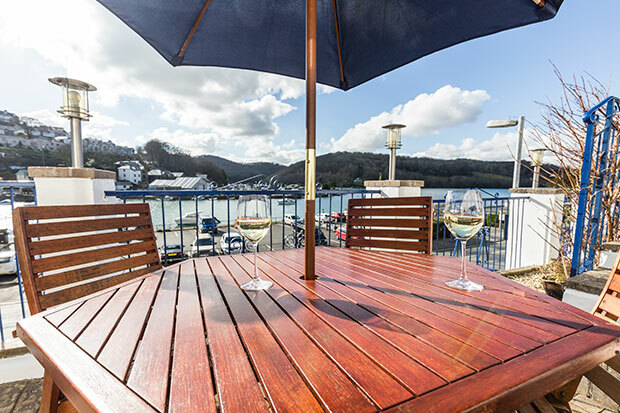 Having spent a hard day sunbathing, sightseeing or shopping what better way to relax and watch the sunset than on the terrace on the front of the Deganwy Guest House or in the Guests Lounge with a drink from the well stocked bar while taking uninterrupted views over the estuary. * Off season offers available.